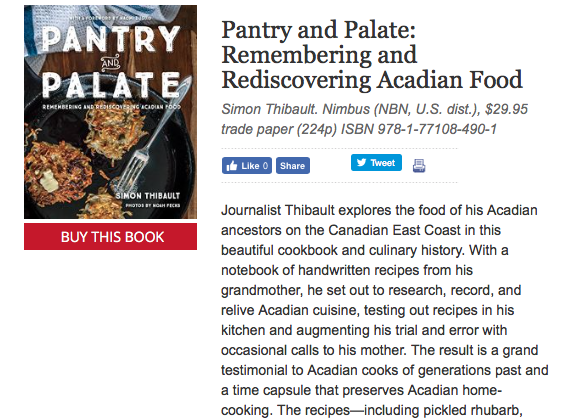 When Pantry and Palate hit the shelves in Canada this spring, I felt a bit like a tourist in my own head. I thought I knew what would be the big attractions, the overarching themes, what was interesting about the book. But it was enlightening to see/hear/read how people were reacting to the story and recipes within, both in the media and amongst people who contacted me about the book. Seven months later, Pantry and Palate is now on bookstore shelves in the U.S., and the publicity machine has started revving back up. I did a super fun interview with a radio show in New Orleans, and talked about Cajun connections. 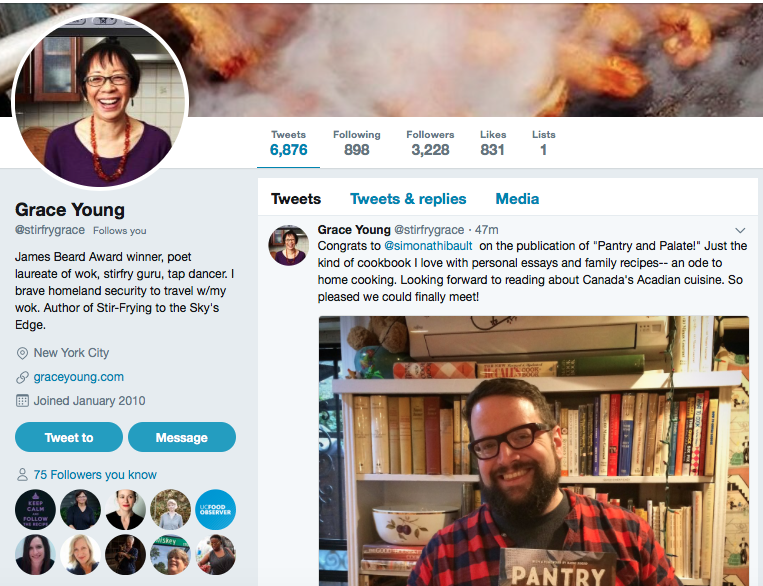 I did an interview where the importance of family and food came to the forefront, and one of my favourite websites about food, Extra Crispy, published an excerpt of the book. I now realize that I am the tour guide, not the tourist. And I am grateful for all the visitors who have decided to travel in my book. The review in this week’s Publishers Weekly is arguably one of the best postcards I’ve received. 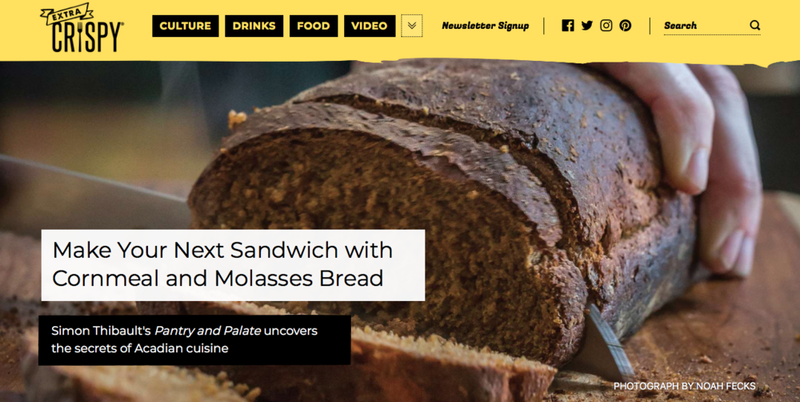 Speaking of the U.S., I recently was in New York at the launch for Pantry and Palate at Kitchen Arts and Letters. Matt Sartwell and the rest of the team at the store were kind enough to pull out a few bottle of bubbly, a few copies were sold, many more were signed, and a few items came home with me. Also while I was in New York, I went to Bonnie Slotnick Cookbooks (are you sensing a theme here yet? ) and had the chance to meet author Grace Young. Young’s books are incredible works on Chinese cookery, but my fave amongst her works is The Breath of a Wok. I had read about it in Saveur in 2004 and it was a gift to me from my parents that very Christmas. I pored over it, amazed at the detail and flourish on its pages. Young not only entices her readers to cook, but to cook well. She arms them with all the information necessary to produce good food, a skill that is sorely lacking in so many cookbooks. Today, Young posted this photo on her Twitter feed, taken at Bonnie’s store. As someone who learned how to season a wok because of her work, this was a wonderful way to start the day. I’ve often said that cookbooks have allowed me to travel the world. It’s a different beast to have people travel along with me. I will happily play tour guide, anywhere, anytime. Bringing local colour and tastes far and wide.